Anybody can suffer from feeling sick during exercise. Even experienced pros can suffer on occasion, but you may be particularly vulnerable to nausea if you are new to exercise, push yourself too hard too soon, perform HIIT exercises (high intensity interval training), don’t take in enough fluids, or eat too big a meal too soon before or after exercise. Let’s take a look at some of the main factors that can cause exercise sickness, why it affects you and what you can do to help minimize its effects on you. Exercise nausea can occur at any intensity or fitness level. However, feeling sick is more likely to occur when you’re new to exercise or with high-intensity workouts as you work harder and push your body to do more. Commonsense plays a part here. If you’re new to exercise, start off slow and progress at your own pace and fitness level - low impact exercises are a great way to get started and are easier on your joints too! Don’t try to keep up with someone else and don’t take up an exercise class at a high level when you’ve not performed the exercise before! Don’t be afraid to slow down, reduce your speed, reduce the intensity or resistance of a workout, sit out or take a break from an exercise class if you feel it’s pushing you too hard. Remember that some of the most hardened athletes can still suffer from nausea from time to time! Eating a big meal too soon before or after exercise can result in feeling sick and/or stomach cramps. This is because when you eat, the body diverts the blood flow away from the muscles and other bodily functions to the intestinal tract to deal with digestion and processing of the foods you’ve eaten. When you exercise, the body diverts the blood flow away from the intestinal tract and other bodily functions to the working muscles, which in turn slows down the digestion of food and can result in the nausea you feel when exercising. Muscle function continues for sometime after you’ve exercised, so if you eat a big meal too soon after exercising, the blood flow will be diverted from the muscles to the intestinal tract, resulting in nausea and stomach cramps. Finding the right eating habits for you when it comes to pre-, during- and post- exercise can be a bit of trial and error for each individual. It’s important not to skip meals and to eat a balanced diet. Some people find having a small balanced snack around 30 minutes/1 hour before exercising helps to stave off hunger and prevents an empty gurgling stomach with water sloshing around as you exercise. As you exercise, you sweat. Sweating results in fluid loss as well as important electrolyte minerals, i.e. nutrients such as calcium, magnesium, potassium, sodium, phosphate and chloride. These important nutrients help with many bodily functions including regulating your heartbeat and allowing your muscles to contract – particularly important for exercising! 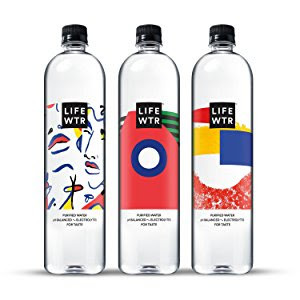 Not replacing the water and electrolyte mineral loss can lead to the sick feeling you get with exercise as well as generally feeling weaker and not having as much strength or endurance to carry on with your routine. So you can see why it’s so necessary to keep yourself hydrated, not just during exercise but generally throughout the day too! Try to drink more water or alternatively there are some good healthy sports nutrition drinks on the market today, such as Electrolyte Enhanced Waters or Isotonic Drinks. 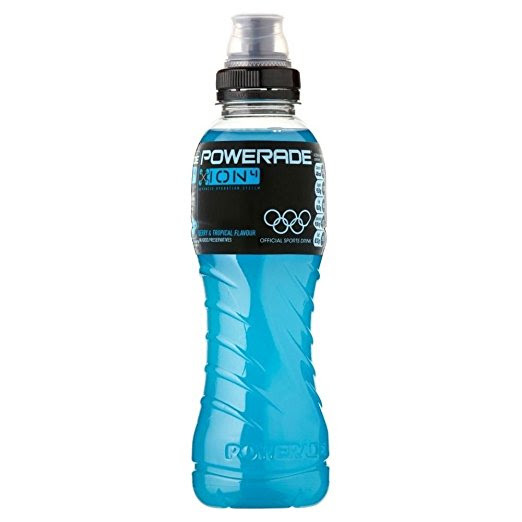 Isotonic Drinks replace lost fluids quickly as well as providing a boost of carbohydrates for energy. Stress or anxiety about exercise, such as taking part in a race or competition, can contribute to an upset stomach and feeling sick. Even excitement such as nervous excitement about taking part in a race or competition can have the same effect – you know the “butterflies in the stomach” feeling! Try performing some simple mindfulness techniques before an important sporting event such as deep breathing exercises. Exercise itself, performed in the right way, is a great stress buster as it helps to release endorphins from the brain, positive hormones giving you the feel good factor! See my article “Health Benefits of Exercise” for more information.